Hyundai Motor India, the South Korean automaker on Wednesday officially announced the production name of its much talked Hyundai QXi sub-compact SUV. 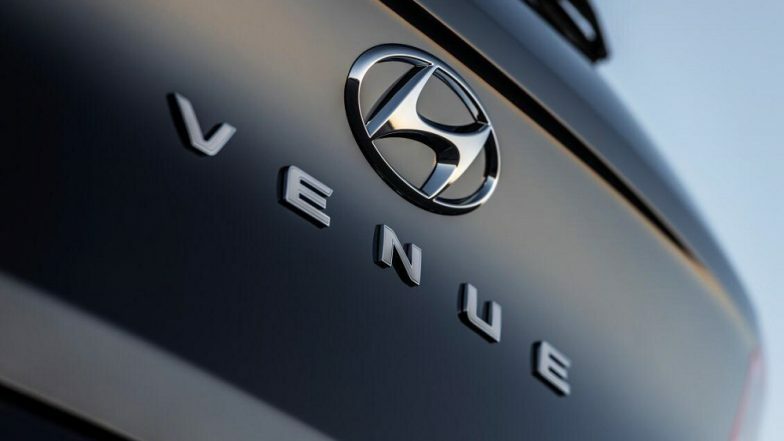 Christened as Hyundai Venue, the sub-4m SUV is scheduled to make its public debut on April 17, 2019 at New York International Auto Show. Moreover, the SUV is expected to be launched in May 2019. The compact SUV will be based on the Carlino concept model that was showcased at 2016 Auto Expo. The compact SUV will be positioned in between Active i20 and Creta in Hyundai's line-up for the Indian market. Exclusive! 2019 Hyundai Grand i10 Hatchback Spied Testing Near Lonavla; View Pic. The company says that the name Venue symbolizes a 3rd SPACE which is trendy, unique, stylish and perfect. When launched in the country, Hyundai's smallest SUV will take on Maruti Suzuki Vitara, M&M XUV 300, Tata Nexon and Ford Ecosport. Deriving its majority of design elements from elder sibling - Creta, the new Hyundai Venue will also carry similar silhouette. The SUV will also feature DRL headlamps which will be derived from Kona and Santa Fe. Moreover, the new compact SUV from the Korean car maker will get LED tail lights on the top-end model. Coming to the mechanical front, the new Hyundai Venue sub-compact SUV is expected to be seen in three engine options - 2 petrol and 1 diesel. The petrol engine could be a 1.4-litre unit that we have already seen on Elite i20. The oil burner, on the other hand, will be the same unit that powers the new Verna. Moreover, the company will also be powered by a 1.0-litre, turbocharged petrol engine which will be tuned to make at least 100 hp and 172 Nm of power figures. Transmission duties are likely to be carried out by 5-speed manual and 7-speed DSG gearbox. The SUV is likely to be priced under the price bracket of Rs 8 lakh to 12 lakh (ex-showroom).